Just Because It’s Halloween Doesn’t Mean Your Skin Has to be Scary! When you purchase any emerginC cleanser and toner from now until Halloween (October 31st), receive a micro-scrub free! Gently but effectively removes DEAD skin cells and rough skin, to help reveal a more vibrant, even-toned complexion. Active ingredients include Apricot seed powder, walnut shell, oat kernel, calendula, beeswax, almond oil, and camphor. emerginC has the best selection of amazing toners and cleansers for radiant, young looking skin! 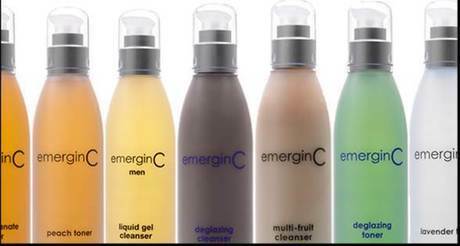 Please visit www.emerginc.com to redeem and check out the entire line of cleansers and toners. Disclaimer: I recieved no compensation for this post. 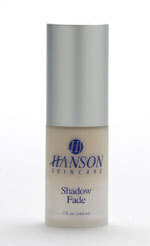 Hanson Skincare specializes in the manufacture and sale of high quality skincare products. Our focus is on creating products that produce outstanding results for all skin types. Our products have been carefully formulated to work together to help promote and maintain healthier, smoother, more youthful skin. 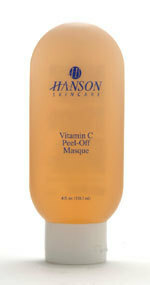 I am a huge fan of Hanson Skincare because their products are highly effective and very affordable. From my experience in reviewing some very high priced beauty products, I can honestly say that Hanson Skincare products are some of the finest I have ever tried and they work just as perfectly as high end products, if not better. Hanson Skincare sent me some of their additional products that I had not yet tried for my review. They are as follows: Gentle Facial Cleanser, Blue Tango Scrub, Vitamin C Peel Off Masque, Citrus Purifying Toner, and Daily Moisturizer w/ SPF 15. The hydrating gel of the aloe plant, combined with moisturizing vegetable-based cleansing agents and botanical emollients, dissolve away makeup and dirt. Helps preserve the natural moisture balance, leaving skin soft and supple. 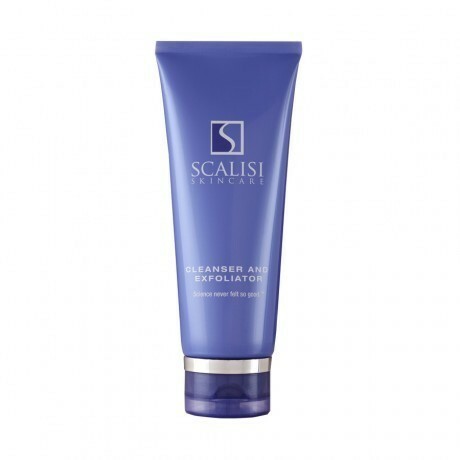 My Experience: I love this gentle facial cleanser. I love to take it into the shower and thoroughly cleanse my face. It even removes my eye makeup without stinging my eyes. My daughters use it every morning and night, too. All of us agree that our skin is left thoroughly clean. This pleasant smelling scrub/exfoliator uses Jojoba beads to gently remove dead skin cells and excess oils that clog pores. The result is a clear, refreshed, more vibrant complexion. My Experience: I use this wonderful scrub twice a week. I usually take it into the shower with me and pour a small amount into my hand (or you can use a washcloth) and slather it all over my face, neck and chest, rubbing in a circular motion, and then I rinse. It is a great exfoliator, and I find that my skin care products are able to better absorb when I remove that outer layer of dead skin cells. Tango Scrub is very refreshing. My daughter uses it as a full body scrub. We love it! Within a few minutes of applying this mask, a thin film is formed. 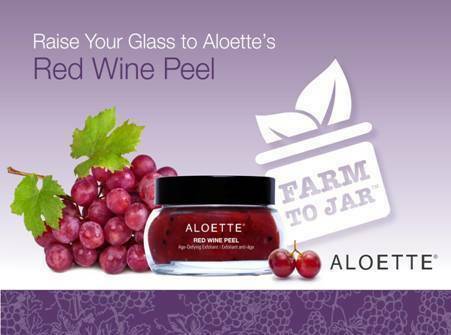 When you peel it away from the skin, you are left with smoother, fresher, healthier skin. My Experience: This peel off masque is the greatest! I apply it twice a week after cleansing. I love how it dries rather quickly and I love peeling it off. It is so much fun because when you peel it off, it is as if you are peeling away your dead skin cells, and just leaving behind fresh, new and radiant skin. This amazing masque has been a lifesaver for my girls, especially during PMS time to help keep acne from forming. It keeps oily skin at bay and keeps pores unclogged for beautiful, flawless skin! Gentle astringent Witch Hazel enhanced with natural plant extracts, hydrating Aloe and Glycerin to give skin a pH balanced, smooth finish.This gentle yet powerful formulation completes the daily cleansing process by removing traces of dirt, oil and other debris from the skin's surface. It also helps soothe, nourish and hydrate the skin while restoring it's delicate pH balance. My Experience: After cleansing, but before any treatments or moisturizers, I apply this soothing toner to my face, neck and chest area using a cotton ball. I let it sit on my skin for about five minutes before I apply any further facial products. It leaves my skin so very refreshed and clean. It takes away any residue without drying out my skin. I love it! A moisture-rich blend of Glycerin and antioxidating Vitamins K and E. Contains a clinically tested hypoallergenic sunblock agent plus Parsol 1789 to protect against UVA and UVB rays. My Experience: This moisturizer is the perfect day cream to protect your skin from the sun's damaging rays. It is lightweight and it is not greasy like many moisturizers are. I am able to wear it under my foundation, and it looks flawless. My daughters love it, too. Disclaimer: Ireceived samples of these products to review and to keep. The opinions are my own. 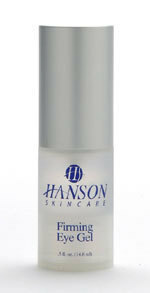 Hanson Skincare is yet another wonderful skincare company that I am absolutely crazy about! Their vitamin enriched skin products have been carefully formulated to work together to help promote and maintain healthier, smoother, more youthful skin. These products can also help slow the negative effects of time and the environment. I received samples of some of Hanson Skincare's very best products that I was able to put to the test, and I am completely pleased with how wonderful these products work on my skin. My Experience: I love this scrub! I bring it into the shower with me, moisten my face and spread it all over my face, neck and chest area, rubbing it in a circular motion with my hands and then I rinse it off. My skin feels extremely clean and soft to the touch. It also smells fresh. I love it! Vitamin C Serum: Helps repair the effects of environmental damage. Helps smooth skin texture and minimize the appearance of wrinkles and blotchy skin. Neutralizes free radicals from airborne pollutants. *Helps even skin tone and texture. Great for all skin types. This is an incredibly smooth, pleasant smelling formula that includes a rich blend of stabilized vitamins C, E and K blended with bioflavinoids. My Experience: I apply this lovely serum after I cleanse my skin. I love how it fully absorbs into my skin without being greasy. I use it on my face, neck and chest area. It leaves my skin feeling soft, supple and refreshed. I have noticed that my skin seems to have a nice new glow to it. Collagen Night Renewal Creme: Children don't have wrinkles because their skin is made up of Juvenile Collagen III plus Elastin. Adults have almost no Juvenile Collagen and depleted Elastin due to aging. Our new Collagen Boosting Liposome helps to increase Juvenile Collagen and Elastin by up to 45%.A concentrated, super-rich creme with patened Collagen Amplifying-CALIII which helps reduce fine lines and wrinkles, improves elasticity, and leaves the skin soft and smooth. My Experience: I apply this night cream after my vitamin C Serum is fully absorbed. The first thing I noticed about it is its light texture. I expected it to be heavier since it is a night creme, but I am extremely pleased with it. It has a cooling feeling and is not at all heavy or greasy. It feels so nice! I use it on my face, neck and chest area. My skin looks and feels so refreshed when I wake up in the morning. My fine lines seem to be almost completely gone! Firming Eye Gel: Specially formulated to help revive tired, puffy looking skin around the eyes. Helps lessen the signs of aging by toning, moisturizing and smoothing the skin. This clear, cool gel goes on easily and leaves the skin with a smooth, radiant appearance. Recommended for use in conjuction with Shadowfade. Energizing plant extracts in a moisture-rich Glycerin formula tone, hydrate and revive skin around the eyes. Vitamin C, and Grape Seed Extract help to firm and wake up tired skin around the eyes, reduce puffiness and appearance of fine lines and wrinkles. 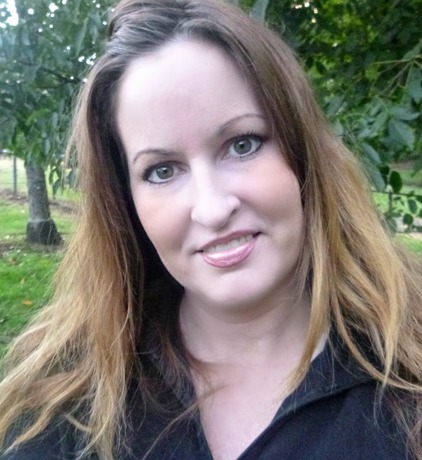 My Experience: Just last weekend, I had my share of unexplained insomnia. I had to get up early the next morning to teach my class at church. (I teach the 3 year olds and I love it) Anyway, my eyes definitely looked tired and puffy. You could tell I was lacking some sleep. I applied the Firming Eye Gel under my eyes, before I applied my makeup. Then I ate some breakfast and when I looked in the mirror, it was an amazing transformation. My eyes looked a lot less puffy. The skin under my eyes was toned up and tighter. I actually looked like I had gotten some rest! Shadowfade: This revolutionary blend of vitamins, minerals and botanical extracts are combined with light dispersing micro-crystals to reduce shadows under the eyes. Brazilian Guarana Extract contains a high level of caffeine which immediately helps reduce the appearance of dark circles. My Experience: I do get circles under my eyes from time to time. When I experience insomnia, like I tend to do, it does not help with those circles. I applied Shadowfade on my undereye circles (after I allowed my Firming Eye Gel to absorb) and I was completely amazed at how much it diminished my circles almost instantly. 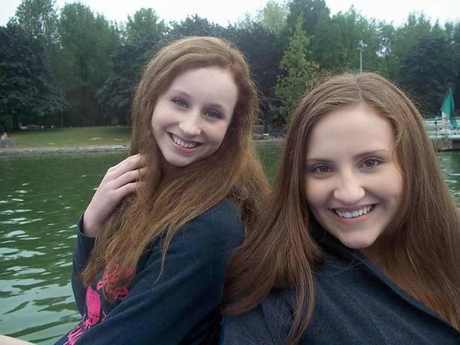 They completely lightened up and were a lot less noticeable. I am completely elated!